We are all weavers and spinners of our lives, whether or not we consider ourselves witches. In our modern world, it’s easy to turn over our power to create our lives to societal norms, family expectations, and more. Don’t forget you have the power to change your life if you choose. Blessings! Witches have had bad PR for a couple of millennia now. Originally the healers or cunning women of the village, the very word “witch” is believed to come from the Celtic word “wicce” meaning weaver or wise. ** When the new religion of Christianity spread through the land, the custodians of the old Pagan ways, in part witches, were labeled as evil and – as we know from history – persecuted. They were driven underground (or under the night sky) into the shadows of misunderstanding and darkness. However, for the purpose of Halloween, let’s look at witches as the weavers of magic and change. Through spells and rituals and even through herbal recipes (yes, often brewed in a cauldron), they weave the powers of this world and the next in synergy to solve problems and heal. 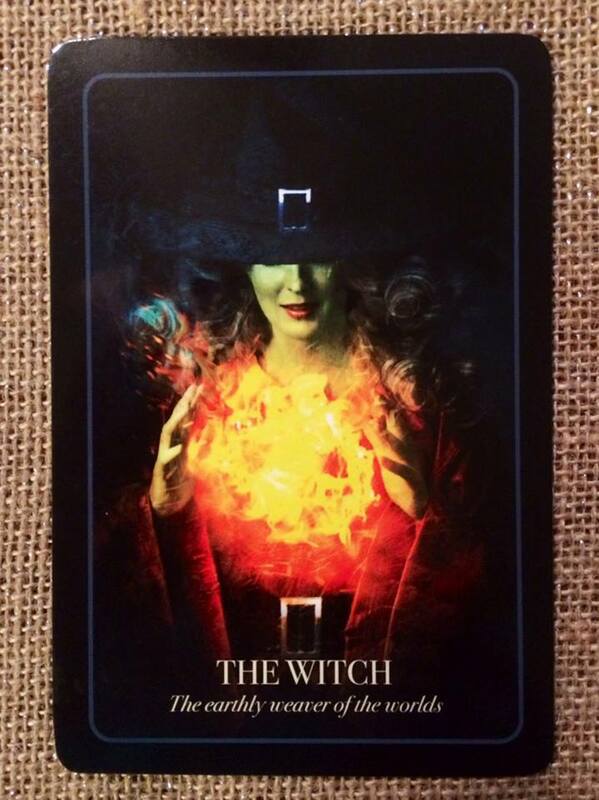 Holding the Witch card means that you can weave your own change throughout life and that magic indeed is afoot! You must understand that you have power and it is real. It may also indicate that others may be threatened by your developing personal power and that they may not appreciate or like the changes in you as you grow. Be prepared for this and do not be discouraged. New friends and better opportunities will be attracted instead. ** This is the oracle author’s view. The etymology of the word “witch” is actually much more complicated than this, and debate goes on about it. I suggest looking it up in the Online Etymology Dictionary and historical sources.